We believe that learning should be relevant, interesting and fun! 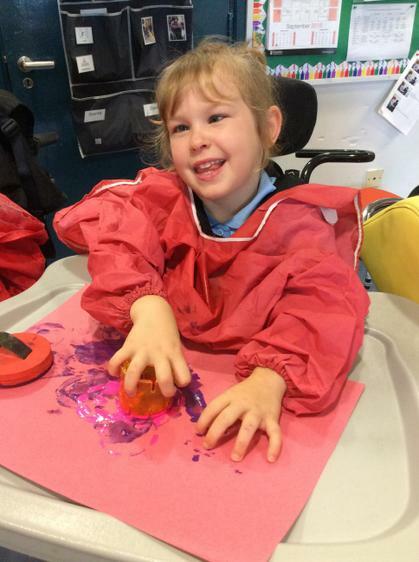 Icknield School provides a nurturing environment in which children make very good progress. Our staff offer outstanding care and support for each child at every stage of their development. Teachers skilfully develop highly creative ways of teaching our children to enable them to achieve their individual best. We encourage all our young people to become as independent as possible. Each part of the school day is seen as an opportunity for learning. Lunchtime is a social occasion where children are encouraged to make healthy choices. Developing communication skills is at the heart of our provision at Icknield School. Giving children a voice empowers them to make decisions about their own lives and learning. We offer children alternative means of communication through signing, symbols, objects of reference, photographs and Information Communication Technology. Developing play skills is also a powerful way of encouraging communication. We have playground equipment which develops co-ordination and builds self-confidence. We are an outward looking school with strong links to the local, wider and global community. As a Level 2 Rights Respecting School we fully support and endorse the United Nation’s mission to campaign for the protection of children’s rights in order to meet children’s basic needs and empower them to realise their full potential.